Drop — My recipe is in cups and tablespoons. Can I still use it with Drop Creator and Drop Scale? My recipe is in cups and tablespoons. Can I still use it with Drop Creator and Drop Scale? You can enter your ingredient list however it appears in your source recipe – whether that is in volume amounts, exact weights, a discrete number of units, or a mixture of all three! 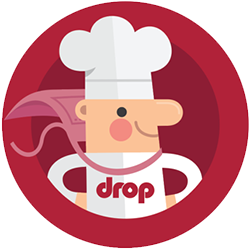 When you view your recipe in the Drop Recipes app, it will display your ingredient amounts in grams or ounces, depending on your app setting. Can I create private recipes? What kind of battery does Drop Scale use? Our community support team is here for you.